RGB lighting has become a major selling point for hardware aimed at gamers and performance enthusiasts. After all, since modern CPUs, GPUs, DRAMs, SSDs, and other components offer plenty of compute horsepower and high data transfer rates, why not make everything look gaudy good as well? Being one of the leading suppliers of high-end memory modules and SSDs, ADATA is very serious about RGB and at CES it introduced two products with extensive RGB lighting. 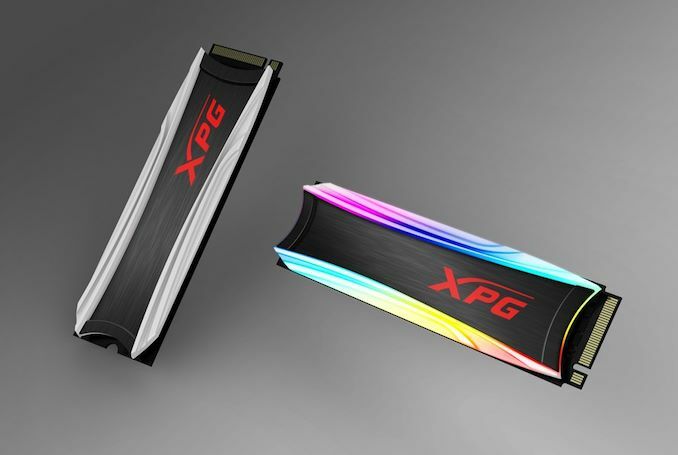 ADATA’s new XPG Spectrix-branded DDR4 memory modules come with programmable RGB LEDs located nearly all over the surface of both sides of their heat spreaders. Since the product is still in development, ADATA does not share actual technical specifications. The company has demonstrated modules capable of supporting DDR4-4600 to DDR4-5000 speeds, so ADATA could build fast memory. It remains to be seen how the extensive number of LEDs affect thermals and other characteristics of the modules, but we will certainly learn more information about these products in the coming months. 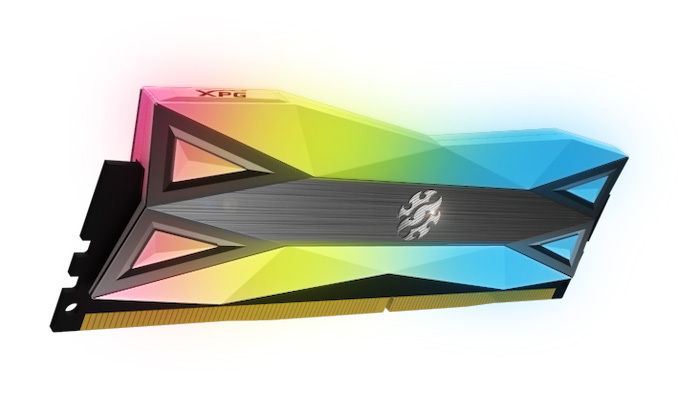 Next up is ADATA’s first XPG Spectrix-branded SSDs, featuring RGB LEDs located on the M.2-2280 module itself. The drive has a PCIe 3.0 x4 interface and is rated for up to 3500 MB/s sequential read speed as well as 3000 MB/s sequential write speed. Based on declared performance levels, the Spectrix SSD is based on Silicon Motion’s SM2262EN controller and is therefore a version of the XPG Gammix S11 Pro and SX8200 Pro with a new PCB and a heat spreader. We expect ADATA to release its XPG Spectrix SSDs in the foreseeable future, though there is no a firm launch date just yet. MSRP wise, the drives will naturally sit above the XPG Gammix S11 Pro and will be priced accordingly.